Our team aims at developping an eco-pathological model of the intestinal epithelium homeostasis and disease. 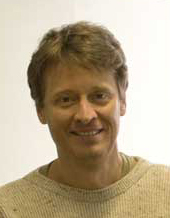 We are particularly interested in the intestinal epithelial stem cells. This includes, on the one hand, the analysis of the Sox9 transcription factor function in crypt stem cell zone. We described Sox9 expression in intestinal stem cells several years ago (Blache et al, JCB 2004) and demonstrated its functional interactions with the Wnt pathway, one of the main driving forces in stem cell proliferation in the intestinal epithelium. Sox9 is also expressed in the intestinal Paneth cells that constitute the stem cell niche by providing growth factors and regulating microbe communities. Sox9 is required during development for Paneth cell differentiation (Bastide et al, JCB 2007), and we currently analyse its niche-related functions. 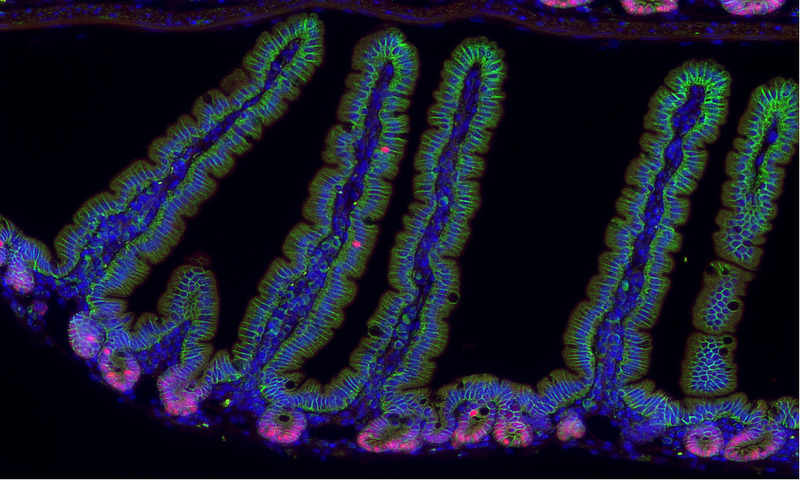 On the other hand, we recently characterised the tuft cell lineage of the intestinal epithelium (Gerbe et al, JCB 2011). Although these cells have been identified more than 50 years ago, their function has remained mysterious. We demonstrated that the Dclk1 protein, previously believed to be a quiescent stem cell marker in the intestinal epithelium, is actually a tuft cell marker (Gerbe et al, Gastroenterology 2009). The potential role of the tuft cells in the healthy intestinal epithelium, and of tuft-like cells present in tumours is still subject to hot debates, in particulat their stem cell properties. We recently identified the first function of intestinal tuft cells in initiating type 2 immune response following helminth parasite infections (Gerbe et al. Nature 2016). This response involves extensive reprogrammation of the intestinal epithelium, and we are currently investigating the role of crypt stem/progenitor cells in this process. We are also investigating the role of other luminal clues, such as the microbiota, in regulating the homeostasis of the intestinal epithelial stem cells via tuft cell sensing.